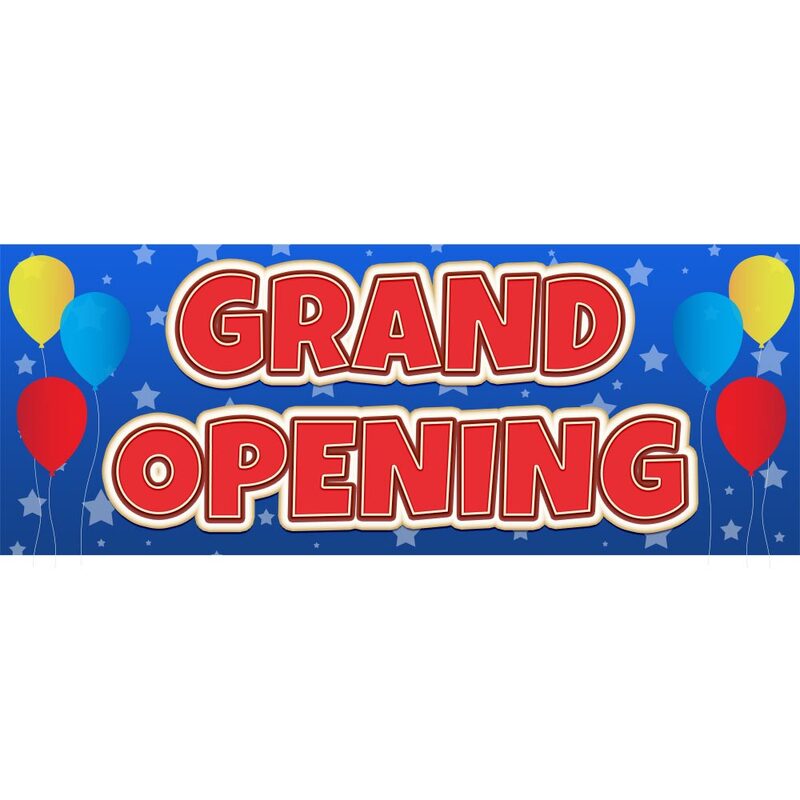 The Grand Opening Banner measures 72 in. W x 18 in. H. The Indoor/outdoor banner is strong and reusable. Screen process printed on durable indoor/outdoor plastic. The banner features grommets for easy hanging.